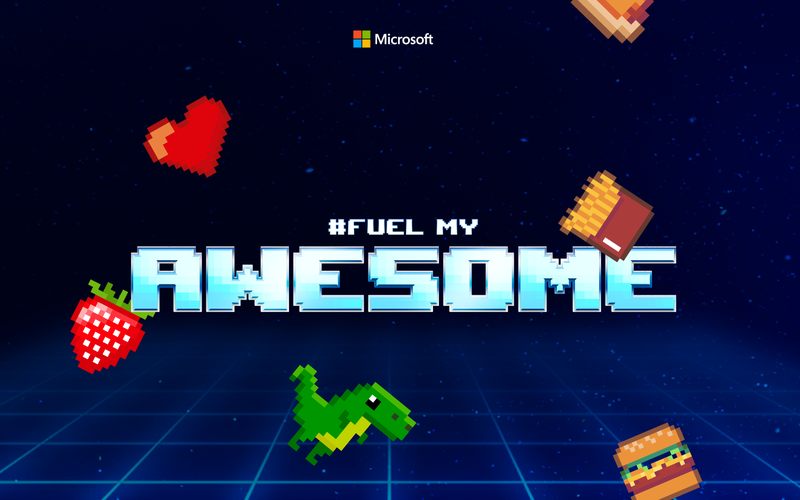 #FuelMyAwesome is back to celebrate developers like you, and we want to hear about all the things that make you tick and keep you inspired. Whether that’s a lucky beanie or a cold brew, a delightful desk toy or a fun way to get fit, we want you to share it with us for a chance to win cool swag. Starting October 8, 2018, at 9:00 AM Pacific Time, @msdev will tweet weekly questions to uncover how you get in the zone, celebrate wins, recharge your batteries, and more. Reply directly to the weekly Monday tweets – including the hashtags #FuelMyAwesome and #sweepstakes – by Thursday at 11:59 PM Pacific Time to be entered for a chance to win*. And remember to check back every Monday for a brand-new question and another chance to win. Ready to start celebrating you? We are – because you are AWESOME. Find the current week’s #FuelMyAwesome tweet that is pinned to the top of the timeline during each entry period. Answering the prompted question. No graphic or GIF is required. An employee of Microsoft Corporation and its subsidiaries, affiliates, advertising agencies, and Sweepstakes Parties or one of their family members. Each prize pack includes a box with some sweet goodies, including an LED screen, a hoodie, a giant enter button, and more! If I already won once, can I win again? Sorry, only one prize pack per person. You can only enter to win once per week. You can reply as many times as you want, but multiple replies within the weekly entry period will not increase your chances of winning. *No Purchase Necessary. Open only to legal residents of the 50 U.S. + DC 18+. Game ends 12/6/18. For details, see Official Rules.